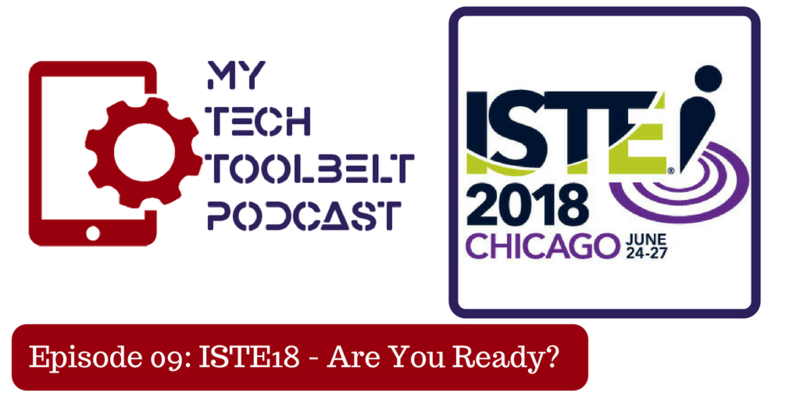 Episode 009 - ISTE18 - Are You Ready? ISTE is the EPICENTER OF EDTECH, the most comprehensive ed tech event in the world. "You’ll have more than 1,000 opportunities to personalize your learning and create a professional development path that covers what’s important to you. Want to learn by doing? Check out a BYOD. Want to ask questions of presenters? Attend an interactive lecture. Need to get really hands-on? Join us in a playground. See why more than 16,000 educators count on the ISTE Conference & Expo for extraordinary PD!" ISTE App, Session types, Vendor Floor, Schedule, Twitter, What to Bring, How to Dress, Downtime, Networking, and Having Fun!